Norway's Bergen Group has appointed Nils Hoff as its new CEO and Morten Riiser as CFO, effective Thursday. 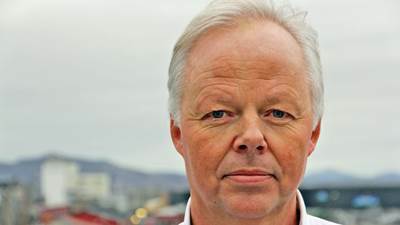 Hoff succeeds Torgeir Nærø, who has resigned as CEO to pursue other opportunities. The outgoing cheif executive will take on an advisory position until the end of Q1 2019. Bergen Group ASA board chairman Hans Petter Eikeland considers the change a natural consequence of the upcoming merger with Stavanger-based oil service company Endùr Holding AS (owner of Endùr Fabricom AS). The merger process between Bergen Group and Endûr Holding is expected completed mid first quarter of 2019. Hoff joined Bergen Group as CFO in June 2015 to assist in its restructuring process, and has previously held various leadership roles in both finance and industry, including as CFO in Tandberg Data, CFO in Tandberg Storage and CFO in Data Invest. He also has board experience from industrial companies, including position as board member in Norske Skog. He has a total of 1,417,000 shares in Bergen Group ASA through his privately held company Eagle AS. The new CFO Riiser has a background as VP Finance in Bergen Group since August this year, combined with earlier manager positions in advisory firm KPMG. Riiser has varied accounting, consulting and audit experience from a number of different companies in various industries, including various assignments towards Bergen Group over a number of years. He is a state-authorized public accountant and graduated from the Norwegian School of Business and Economics with a master's degree in auditing and accounting. He currently holds no shares in the company.